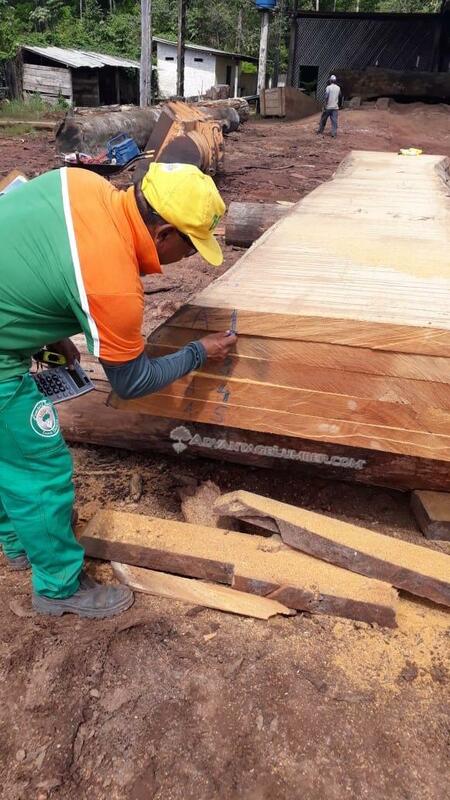 Our sawmill in Brazil just finished cutting some live edge slab flitches. A flitch is more than two consecutive cuts from the same log. This gives your project that unique book matched grain (a mirrored image) and similar color/figure throughout the entire project. Manufacturers of Live Edge Slabs, Hardwood decking, Siding, Exotic Hardwood, Deck tiles, Hardwood Flooring, FSC Certified wood products, Urban reclaimed hardwoods, and more! This entry was posted in Uncategorized on July 11, 2018 by theipeguy.